Aurora Sewing Center is proud to be a Kimberbell Certified shop. This means that we can bring you exclusive Kimberbell embroidery events and programs. Our current events are listed below. Love Kimberbell? Maybe you just want to be inspired to learn more about in the hoop projects? Join us for our monthly Kimberbell Society! 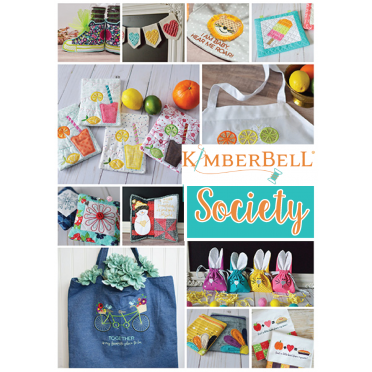 Each month you’ll receive FREE Kimberbell designs and full project instructions – exclusive to club members only! Our Kimberbell Society is an easy lecture demo format, so no need to bring your machine! *FREE Kimberbell design and full color instruction PDF each month—12 in all! For more info on our year long Kimberbell Society at Williamsville click HERE. You may also sign up for individual months by clicking HERE. For more info on Society at East Aurora click HERE. You may also sign up for individual months by clicking HERE.